Many interpretations could be read into the following statistics. For offences to be recorded they have to be discovered for starters. Police are constantly complaining about under-resourcing (aided and abetted by the opposition) yet they manage to find plenty of staff to man alcohol check points. On a recent road trip across Victoria and NSW the lack of police on the roads was most noticeable when compared to NZ. In a week we saw two police cars (though noted large numbers of police stations). My husband was stopped yet again driving home from work last night at an alcohol check point. He asked the officer if they had caught anyone over the limit. The reply was," No. But we've caught people close to it." Husband noted that you cannot "catch" people who haven't broken the law but I think it went over said officer's head. 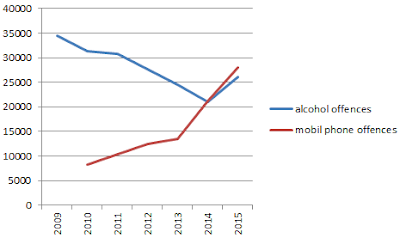 Anyway, what can be inferred from the statistics below is that banning the use of cellphones while driving has failed. Alcohol offending was on the decline but with the lowering of the limit the trend has reversed. You have to ask the question, with the downward trend what was the rationale for lowering the limit anyway? And which is more dangerous? Drinking and driving, or talking/texting and driving? The first seems to attract a great deal more societal disapproval but perhaps that's an illogical attitude. Perhaps the use of cell phones while driving is not particularly frowned upon because so many people do it. In which case, what use is a law that is routinely flouted? The revenue is handy though. 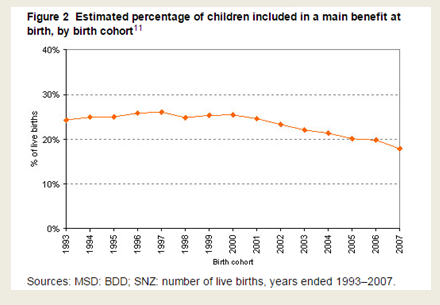 That's roughly how often a child is born onto welfare in New Zealand. According to Statistics NZ a child is born every 9 minutes. 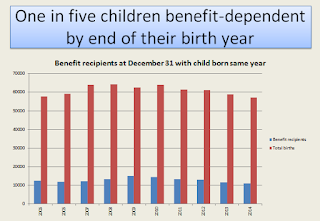 According to me every fifth child born will rely on a benefit, if not directly, shortly after their arrival. 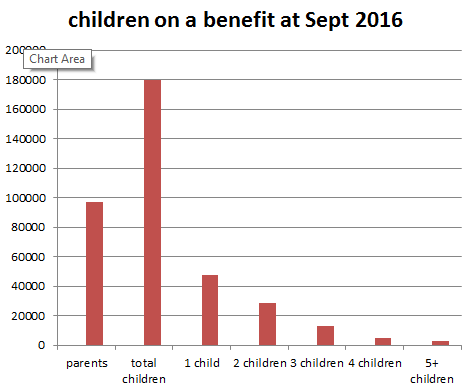 At September 2016 there were 179,732 children reliant on a main benefit - slightly up on the June and March quarters but down on Dec 2015. 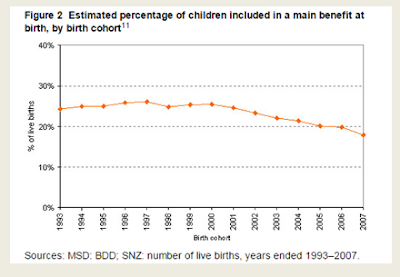 This represents 15.3% of all children (aged 0-18) but in the 0-4 age group, the figure rises to 19.3%. Sixty nine percent rely on Sole Parent Support (though this is an under count of the extent of sole parent dependence given thousands more receive jobseeker, emergency maintenance, supported living and youth benefits.) 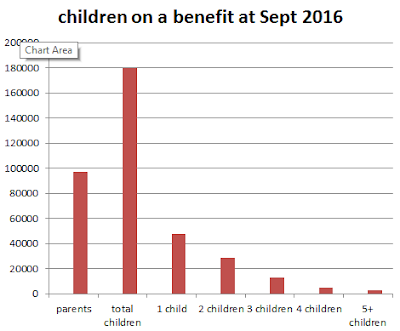 Most children reliant on a benefit appear in the child poverty statistics (though not all). 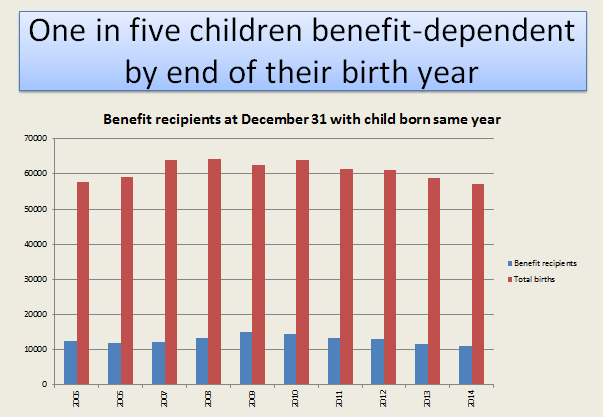 Therefore, the main driver of child poverty and hardship is sole parenthood. ... I 'd be suspicious of the following error made by the Ministry of Social Development. Bryan Petter is unknown to me and I assumed the request concerned some personal matter. Later, curiosity got the better of me and I took a look. In fact, Bryan Petter is actually Bryan Perry, MSD's producer of the Household Incomes Report, the chief source of poverty and hardship statistics. There is no way that the error is a mere typo. An extra letter has been added. Then again, there is little point in trying to hide a release of documents that have been heavily redacted anyway. 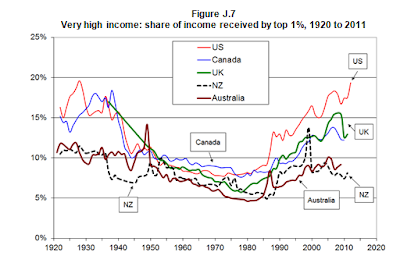 Is the hysteria about inequality overblown? Oxfam are releasing a report this afternoon belly-aching about the disproportionate amount of wealth owned by the richest New Zealanders. Andrew Little is already on the band-wagon blaming National. The long-run perspective in Figure J.7 can tell more than one story. 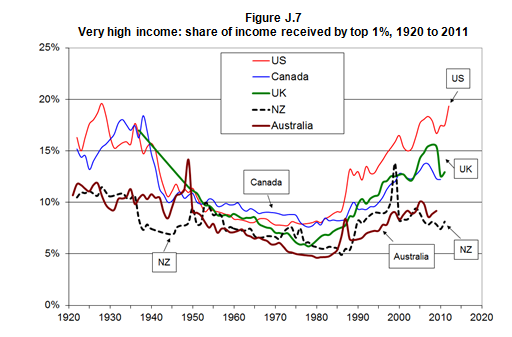 Taking the end of the “great compression” (1950 to 1980) as the starting point, the conclusion is that for the five English-speaking countries in the graph, inequality (understood as the share of income received by the top 1%) increased strongly to 2011. With the 1920s as the starting point, the “great compression” can be seen as the “aberration” and now the distribution has returned to where it was ninety years ago.